After a very enjoyable but lazy day indoors on the 25th, we woke up to some exceptionally mild weather, and decided to do something we’ve never done before on Boxing Day… go for a bike ride. 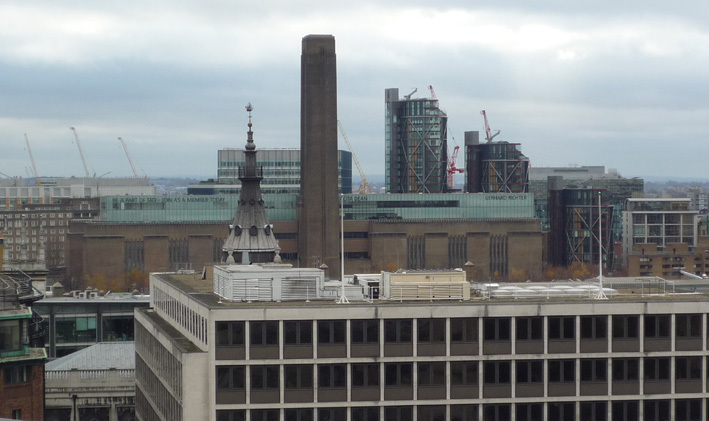 Not being much of a shopper myself, I left A to the sales, and headed up to the top of the building to take in the huge terrace and the rather wonderful roof top views of London. 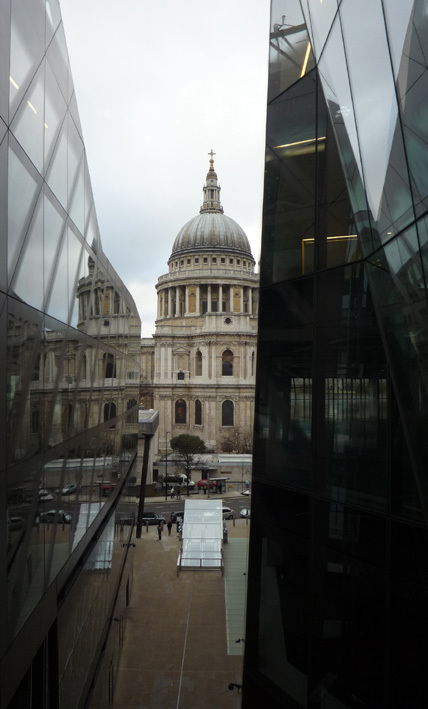 It’s not exactly a 360° panorama, but it’s an impressive sight all the same, and the journey to the top offers an interesting view of St Paul’s through the angled glazing of the building. 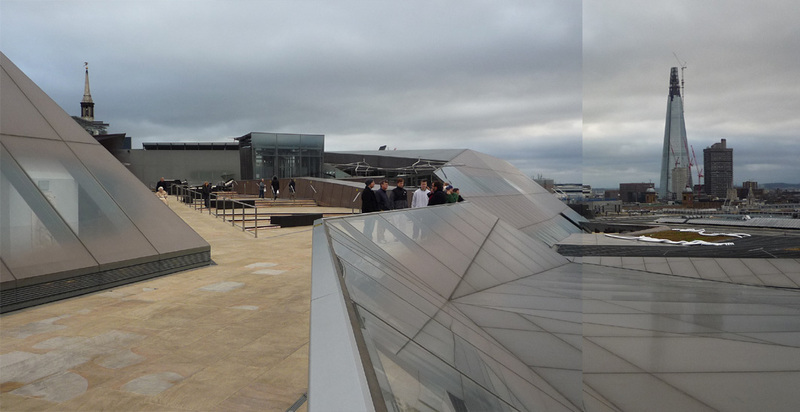 Contained within the sloping glass cladding of one part of the roof, are some rather fine sculptures. Originally made by Sir Charles Wheeler, I can only assume that these wonderful carvings adorned the previous building that occupied the site. My apologies for the poor photos but the glass is rather dirty and the sun was directly behind me, but I think you can just about see the quality of his work. 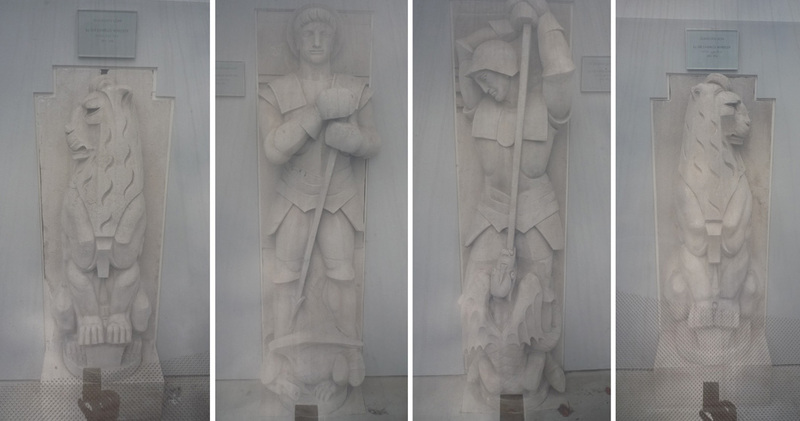 Charles Wheeler (1892 -1970) was a highly regarded English sculptor, whose work can be seen in Trafalgar Square, and on various Embassies, Memorials and Ministerial Buildings that went up in the first half of the last century. Like most of the 20th Century sculptors that I admire, Wheeler worked in a contemporary style, avoiding the overly detailed work of many of his peers and producing work that was both powerful and modern, whilst still reflecting the ceremony and pagentry that was generally required of commissions from this period.